Use the TruGlide Overlay to easily move your fabric during free-motion quilting. It clings directly to your machine bed with minimal effort. Simply stick it on and glide your fabric through every stitch. Pair TruGlide with the TruStitchTM Stitch Regulator for smooth quilting at your preferred pace. 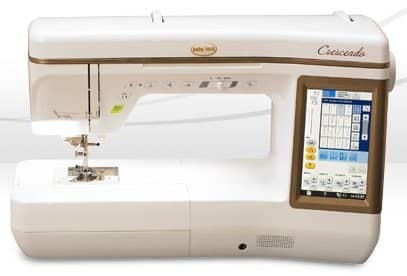 This easy-to-use, product is useful for sewing enthusiasts of all skill levels who want to master stitch regulation.